This is intended to be a running list of various papers and presentations I’ve given since embarking on my PhD research. Where possible, the slides and/or abstract has been uploaded for reference. Presented at the SSPC Departmental Seminar, University of Southampton, 26 April 2018. Presented at the British Sociological Association Conference 2018, Northumbria University, 10 – 12 April 2018. Presented at the Association of Internet Researchers Conference 2017, Tartu, Estonia, 18 – 21 October 2017. Extended abstract available here. Presented at the 4S: Social Studies of Science and Technology Conference 2017, Boston, MA, USA, 30 August – 2 September 2017. Abstract available here. 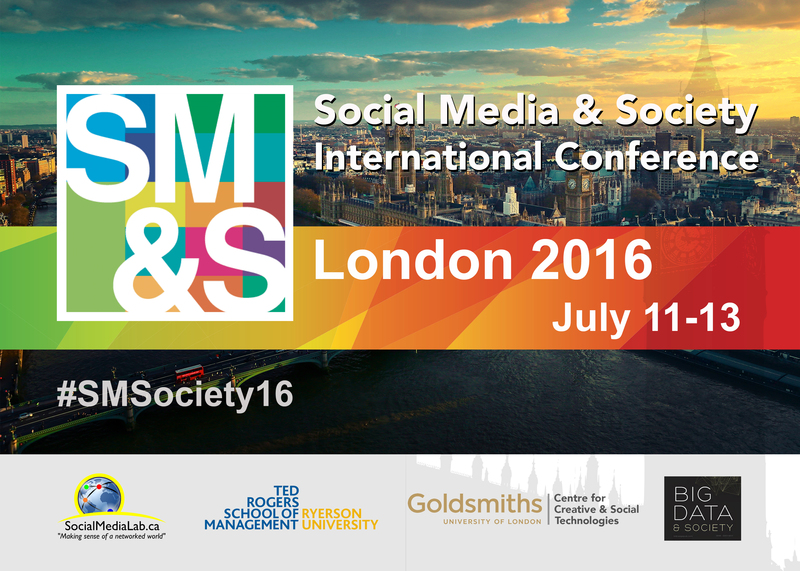 Co-presented with Dr. Bindi Shaw at the Social Media and Society Conference 2016, Goldsmith’s University, London, 11 – 13 July 2016. Presented at the Joint Conference on Digital Libraries Doctoral Consortium 2016, Rutgers University, Newark, New Jersey, USA, 19 June 2016. Co-presented with Joanna Munson at the Web Science Institute Research Week, Royal Society, London, 1 March 2014.